It's been a very busy month and a half since I last posted, working as an admin on the Jewelry Designer Open Market group on Facebook, as well as making work to sell in my trunk shows there. 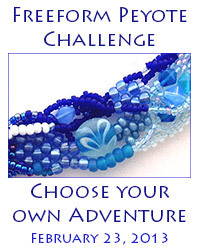 I've also been in overdrive making lampwork to sell in my trunk shows in the sister Facebook groups Artisan Open Market: Lampwork Glass and the Glass Bead Open Market. While that has cut down on a lot of my play time I am pleased to share what I made with the stash I got from my partner Jennifer Van Horn. 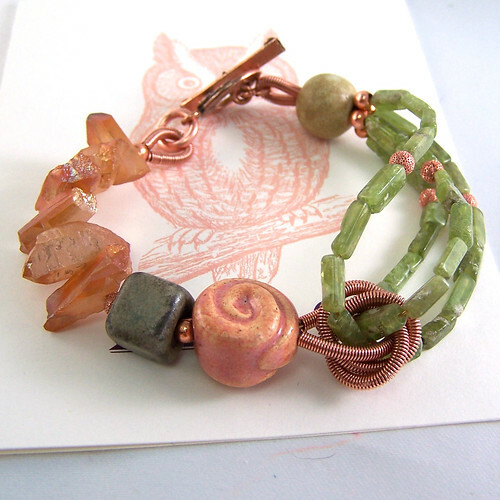 This bracelet used the bulk of the beads I received from Jennifer and was inspired by the mix of long center-drilled quartz beads and the smaller, but also long, rectangular peridot beads. I knew they'd be perfect for a bracelet, but I wanted to find a way to balance the larger amount of smaller peridot beads with the larger quartz beads without it getting too bulky. 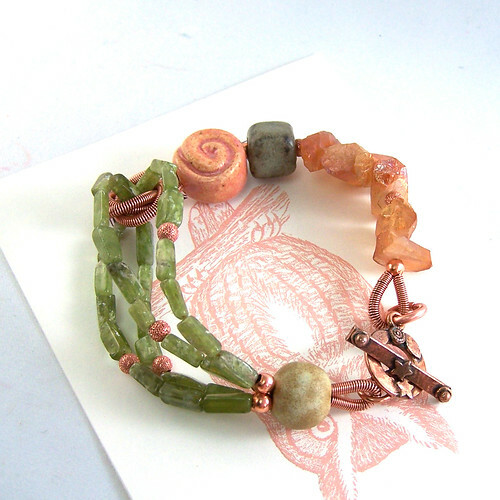 Though stringing isn't necessarily the most creative technique, I was pleased with the half-multi-strand effect of this bracelet using a creative wire-spiral-covered knot connection between the two halves of the bracelet. 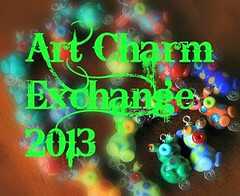 I still have the owl and leaf ceramic beads and the square toggle clasp she sent to make something with. And while I haven't fabricated it yet, I'm thinking of expanding on the design idea I used in this lampwork owl bead design with fabricated sticks, stems, and leaves, forming the back of the necklace - where I can also use the ceramic leaf bead - and a layered, pierced-and-sawed metal tree pendant in which I will set the owl bead. 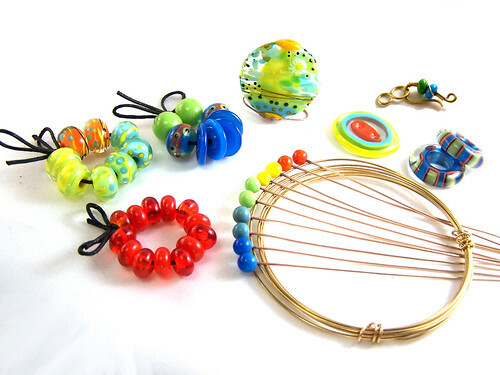 I wanted to send a huge thank-you to Lori Anderson who, despite frightening health issues, has continued to invest a massive amount of effort at the helm of the Bead Soup Blog Party. Thank you, Thank you, Thank you! 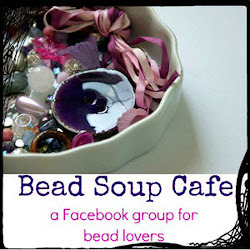 To return to the full list of participants in the 8th Bead Soup Blog Party, please see her Bead Soup Blog Party blog.